MHAP is a non-profit organization dedicated to providing care, rehabilitation and adoption for abused, neglected, abandoned and unwanted horses. We rehabilitate and treat each animal with compassion and respect, while acting in the horses best interest. We bring to the public the awareness of equine abuse through education, adoption services, sponsorship, and volunteer programs. OUR MASCOT: Wonder, the one ear horse. Picture taken day after his rescue. Giving horses a second chance at life. Midwest Horse Adoption Program is a fairly new horse rescue and adoption agency. 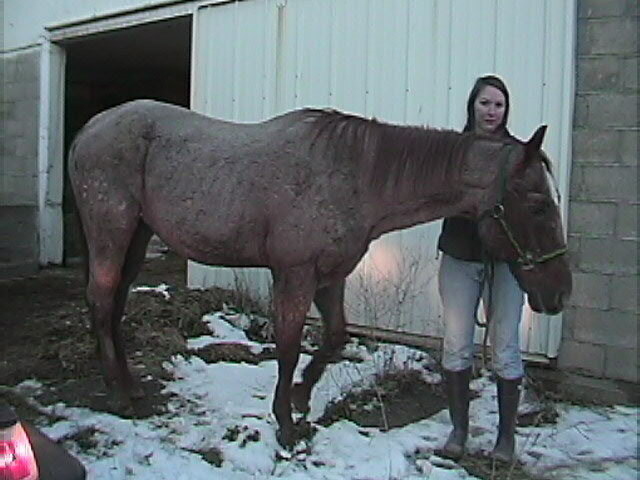 You may recognize us as the ASAP rescue or prior to that as Red Fern Stables. Since our induction in August 1999, we have given over 60 horses a second chance at life. MHAP relys on it's caring voulenteers and dedicated board members to assist in the horse rescues and make things run smoothly. Currently, our board consists of a team of dedicated individuals, all residing in the state of Minnesota. Do Right - rescued and adopted by Lane W.
Thanks to all our wonderful volunteers for their support and encouragement! As of right now we have wonderful people in OH, IL, MN, WI, OK, AZ, CA!!!! (Sorry if I forgot anyone) We appreciate all the help!